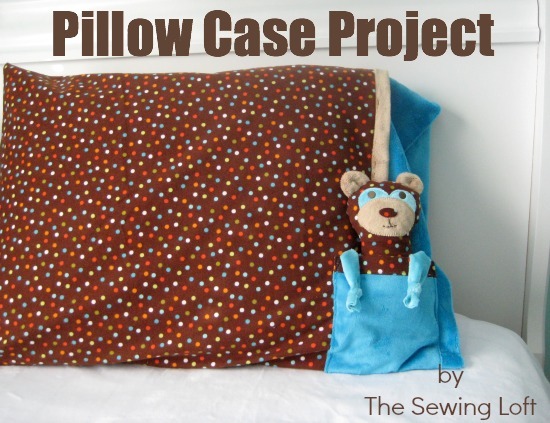 Last week I shared how to make the Cuddle Buddy Bear and easy Pocket Pillow Case Project in a partnership with Shannon Fabrics. Since Cuddle™ fabric can be tricky to work with, I thought it would be a good idea to share a few tips and tricks to help keep your projects top-notch! Cuddle™ is a knit based fabric with a nap. The term “nap” refers to the direction of the fibers. Sometimes, the nap can also be referred to as a pile. This is extremely common with faux furs. 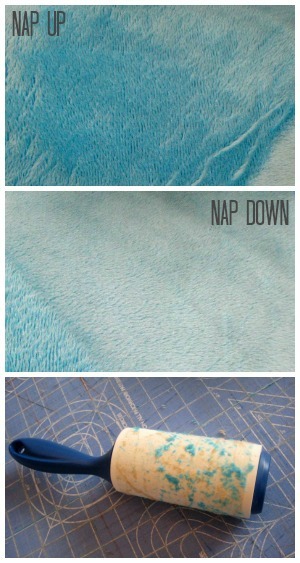 This “nap” is the direction the long fibers lay on the fabric. You will notice that when the fibers are pushed up or “against the nap” the surface appears to be dark. When the nap is in the down and smooth position, the surface appears to be shiny. Cuddle™ does not fray it is a knit based construction but be warned, it sheds! So, grab your lint roller and be sure to clean out the bobbin basket after sewing your project. Your machine will thank you for it! ps- the lint roller will also help clean up your self-healing cutting mat. Since this is a knit fabric you can leave the cut edge raw and it will not unravel. This is great when creating a nightshirt, pj pants or even a ruffled edge. Straight pins are your friend. The fabric tends to shift and needs to be put in its place. A ball point needle is best suited for working with this knit fabric. This will keep your stitches even and looking their best! Cuddle™ fabric is sensitive to heat. What does this mean to you- well, it is best to use a simple press cloth when pressing fabric directly with iron or use a low heat setting. Personally, I like to press from the backside of fabric. If using Cuddle™ to create an appliqué, I suggest using an overlay of water-soluble stabilizer on top of the design. This will prevent your stitches from sinking into the fabric and allow them to float along the edge. 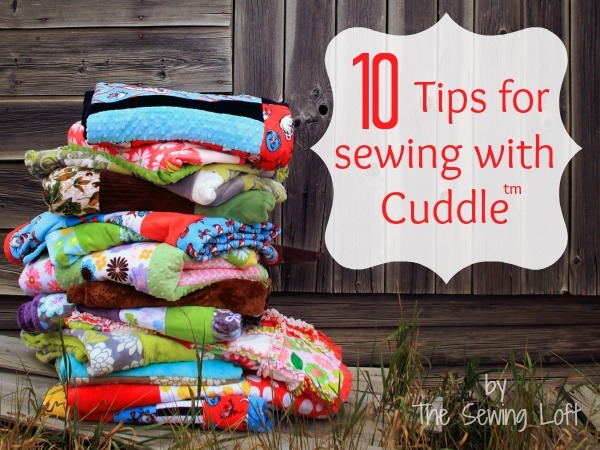 I know that sewing with Cuddle™ can be tricky but if you follow these tips your project will look top-notch! My quick take aways are: Always check the grain direction for stretch and the nap direction before cutting. Now, if you haven’t already grabbed the free Cuddle Buddy Bear Pattern be sure to hop on over and download it today. He really is cute and you can put all your sewing with cuddle tips to work. **Please note that this is not sponsored post. These opinions and tips are completely my own, based on personal experience and first hand knowledge. Feel free to ask any questions. I am happy to help! I backed a throw with Cuddle (or the Joanne’s equivalent) and it was a pain. But pinning helped and not only did I need to clean the machine, but the whole room it seemed like. Ha!! Yes Judy, those fibers can go everywhere but honestly after sewing any big project my room needs a good cleaning. And don’t get me started on the blinds. Fibers are dusty! Thanks so much Anne! I love this super soft fabric but it can be testy to work with. I wanted to take a minute to thank you for all you do, I read your blog most every day! PS Dryer hint from Nancy Zieman! Wow, 6ft Ronda, that is some stash! I would love to see what you have collected. Thanks so much for the kind words and sharing the tip! The fuzzy’s get everywhere. If you use the Elmer’s school glue sticks that washes out you can lightly glue the fabric together and sew. This stops the fabric from shifting around more than pins do. I even use the bottle Elmer’s school glue but you have to have a really light touch with the glue. I quilt with it on my long arm all the time, a little extra effort but very rewarding. I am going to be making a winter throw quilt using flannel fabrics – think white with soft blues and pale sage greens and light mauves – with deer and snowflakes and little birds and pine trees – but all sort of monochromatic if that makes any sense. I am wondering if the minky would be nice to use as a backing, given that the front is flannel. ? ? Also, I am back in the age of the dinosaur I guess, because I do all my piecing and applique and quilting by hand. Will this be a problem with the minky if I decide to use it as a backing? Thank you for your help.